SINGAPORE - A former taxi driver was taken to court on Friday (Jan 11) over a traffic accident that killed a National University of Singapore (NUS) student. 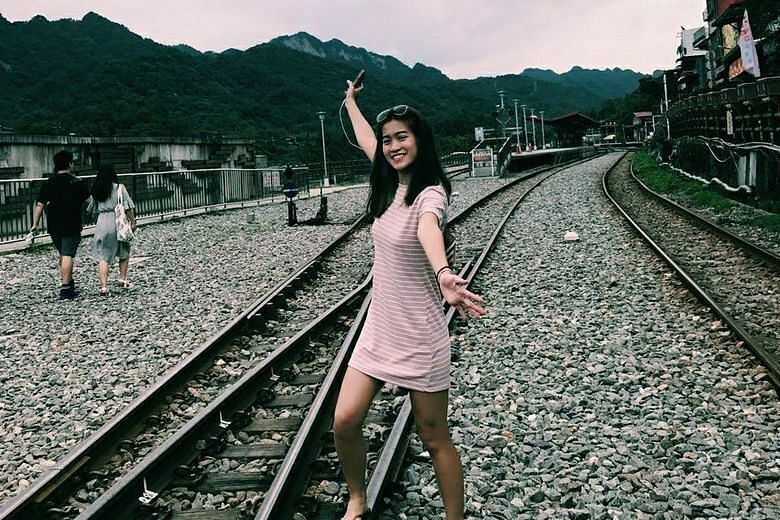 Yap Kok Hua, 55, was ferrying NUS student Kathy Ong Kai Ting, 19, and three of her schoolmates in his vehicle on April 19 last year when the tragedy occurred at around 7.30pm. He was charged on Friday with causing her death by driving in a negligent manner. The Straits Times understands that he is no longer a taxi driver. According to court documents, Yap was driving along Commonwealth Avenue West when he allegedly failed to give way to a car while making a right turn into Clementi Road and the two vehicles collided with each other. The four students and the drivers of both vehicles were then taken to the National University Hospital. Miss Ong, who sat in the rear, was later pronounced dead. Miss Ong, an only child, was a first-year environmental studies student and a resident of the university's Tembusu College. Hundreds of her friends turned up at her wake at the Church of St Teresa in Kampong Bahru where she was baptised. The accident had put the spotlight on busy junctions with similar right-turn lanes. Singapore Road Safety Council chairman Bernard Tay said: "When you are on the road, motorists have to look out for all road users. You have to be very sure no car or pedestrian is crossing. If not, you have to slowly edge out, so slow that you could stop if you have to." Mr Gerard Pereira, a business development manager at the Singapore Safety Driving Centre, advised passengers in rear seats to always wear seat belts. "Usually the back seat passengers are the ones most severely injured in accidents because they don't wear seat belts, and there's nothing preventing them from going forward." Yap is represented by lawyers Josephus Tan and Cory Wong from Invictus Law. They are representing him pro bono. He is now out on bail of $10,000 and will be back in court on Feb 1. If convicted of causing Miss Ong's death by negligent driving, he can be jailed for up to two years and fined.